The 12th 'annual Droppin' 0f the Carp will be held at midnight on New Year's Eve Lucky Park in Prairie du Chien. 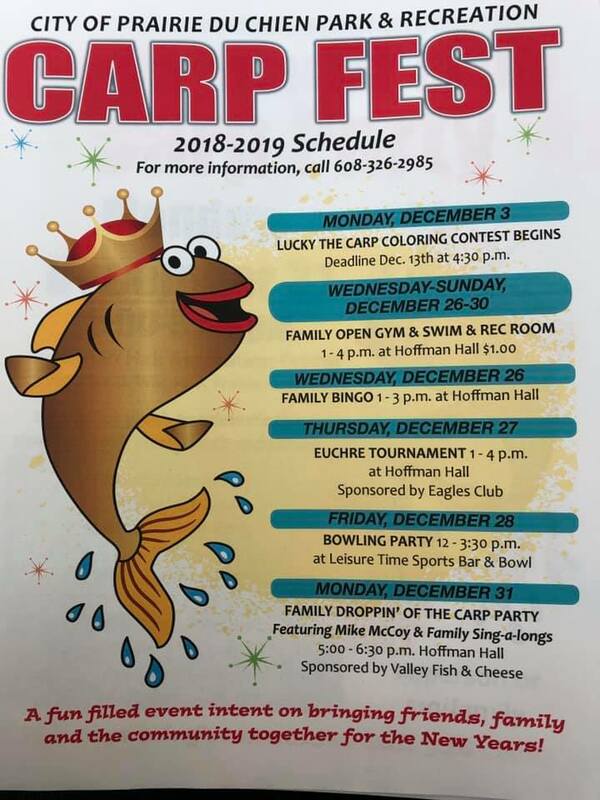 The highly anticipated,widely known event will be the culmination of Carp Fest, a week of festivities that begins Wednesday, Dec 26, in the city. 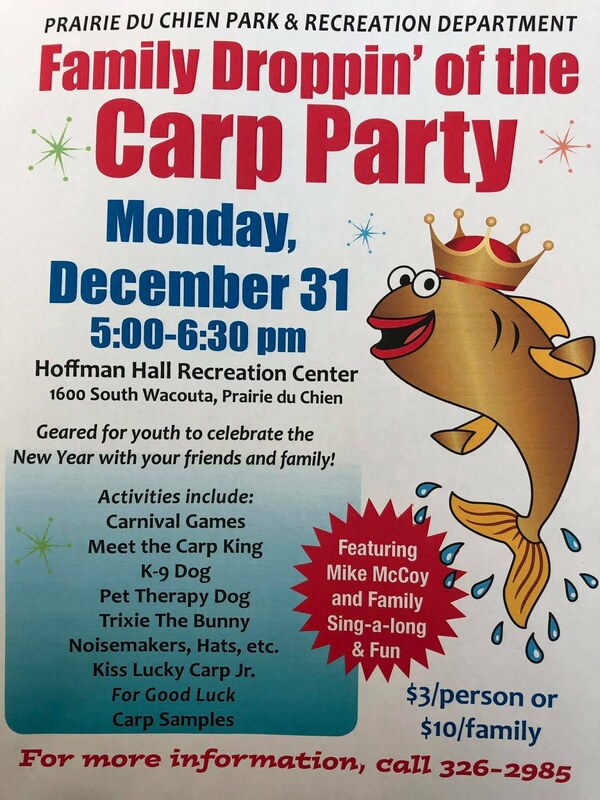 On Dec.26, adult and youth carp games and arts and crafts will kick off the week at Hoffman Hall from 1-4 p.m. A skate party and bonfire will conclude the evening from 6-8 p.m. at Lochner Park. Skates will be available. This event was cancelled due to unsafe conditions. 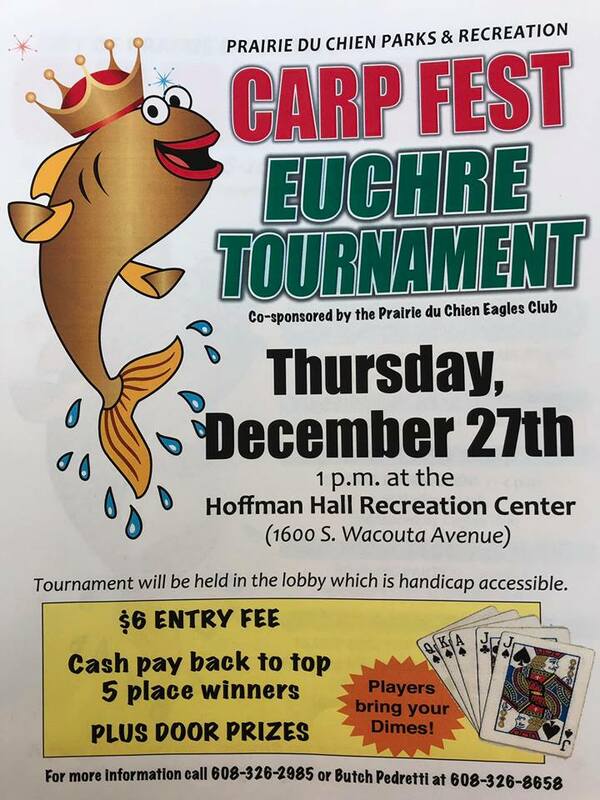 Hoffman Hall-will host carp activities again on Thursday, Dec 27, in its pool and gym from 1-4 p.m. These will include a week-long adult lap swim and walking contest, youth games and open swim time. On Friday, Dec. 28, a bowling party at Timber Lanes Sports Bar & Grill will start the day at noon and go until 3 p.m. More activities will take place at Hoffman Hall from 1-4 p.m. The night will close with a Torchlight Ski. Hike and-Sledding event from 6-9 p.m. at La Riviere Park. Saturday, Dec. 29, will be a Youth Ice Fishing Fun Day with action taking place from 9-11 a.m. south of the Blackhawk Bridge. Fishing Fun Day has been cancelled due to unsafe conditions. The entertainment will continue on Sunday, Dec. 30, with Family Fun Day at Hoffman Hall, from 1-4 p.m. There will be half-price admission to the gym and pool that day. Monday, Dee. 31 will be the big day-the day of the carp drop. Before the Droppin' of the Carp crowd gathers at Lucky Park on St. Feriole Island that evening, competitors in the 10th annual Carp Bowl Football Game. will compete from 3-5 p.m. On St. Feriole Island. Hot air balloon rides will be available that dayon the island, weather permitting. The Droppin' of the Carp celebration will start at 9 p.m., New Year's Eve, at Lucky Park with a music, entertainment and light show, sponsored by Twisted Vision. The pyrotechnics will fire off at midnight when the carp is dropped and the crowd, Carp Royalty and Prairie du Chien Mayor Dave Hemmer ring in another New Year with the hopes and dreams of another lucky year for the city. The. Kissing of the Carp will also take place around midnight, along with a huge bonfire. There will be a heated tent at the park. 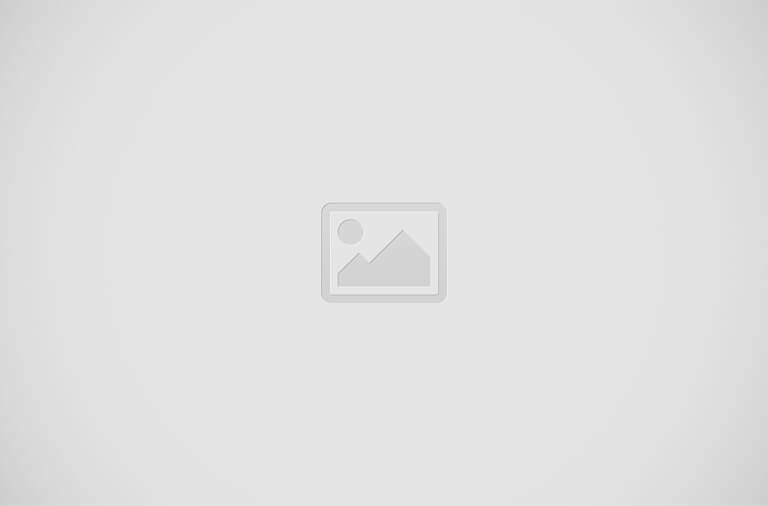 The next day, Jan. 1, 2013, there will be a New Year's Day Brunch, sponsored by the Rotary Club, from 9 a.m. to 1 p.m. at Huckleberry's Restaurant in Prairie du Chien. The community, friends and family are invited to join in the fun, positive, uplifting week of activities and especially the New Year's Eve party. In lieu of a Carp King and' Queen this year, a Carp Court will be established. Anyone can be a member of the royal court. More information will be available in an upcoming issue of the Courier Press. If interested, contact Tom Nelson. Proceeds from Carp Fest will benefit the Droppin' of the Carp Committee and the Prairie du Chien Parks and Recreation Department. For more information, visit www.prairieduchien.org.